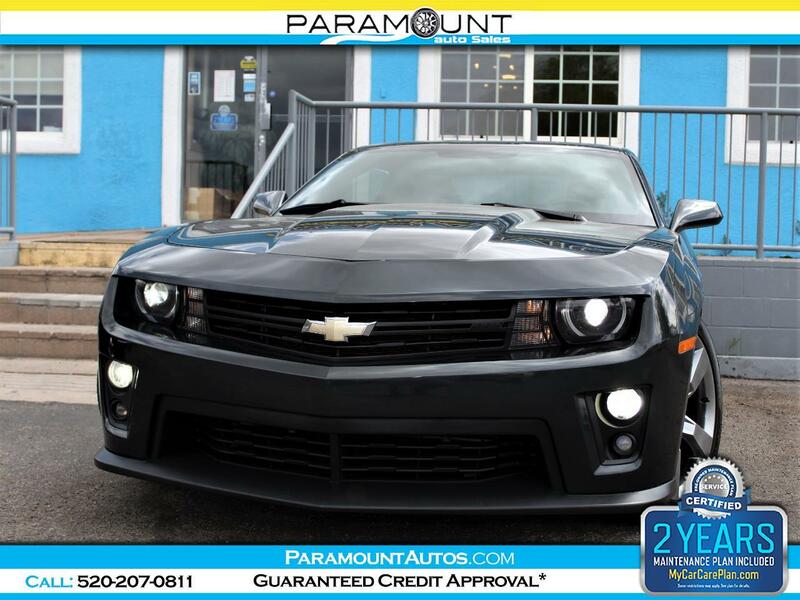 GORGEOUS 2013 CHEVROLET CAMARO LT SPORT COUPE WITH ZL1 FRONT END CONVERSION! THIS IS ONE BEAUTIFUL CAMARO, AND ITS LOADED TOO! GREAT HANDLING, GREAT LOOKING AND SOUNDING SUPER FUN LITTLE CAMARO... DON'T LET THE V6 FOOL YOU, THIS CAR IS RATHER POWERFUL.. THE AUTOMATIC TRANSMISSION HAS PADDLE SHIFTERS TO GIVE YOU FULL CONTROL OF ITS 6 GEARS AND IT EVEN HAS REV MATCHING DOWNSHIFTS... WITH THE UPGRADED EXHAUST, THOSE DOWNSHIFT BECOME A LOT MORE FUN! PRICED TO SELL FAST!! COMES WITH A WARRANTY, CARFAX, AND 2 YRS OF MAINTENANCE!! EASY FINANCING AVAILABLE!